Condition: Generally good for age, with areas of minor wear and lower pile. Notes: Superb rich madder-red field, with a most unusual design. The main guls are a simplified version of the Yomut kepse gul, the centre of each is quartered and filled with 'x's. The secondary guls are the more usual dyryak serated diamond-shaped gul. The border seems unusual for a Yomut, in both design and width (ie. it's narrow). 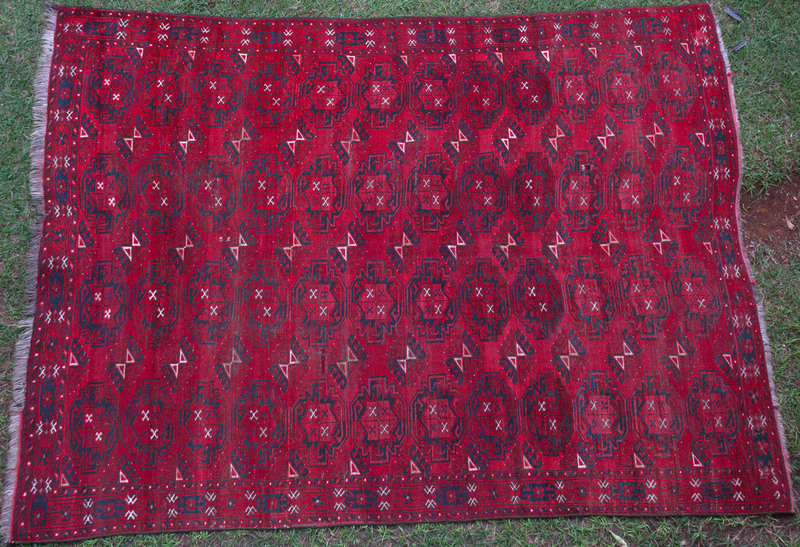 The colour of this rug is also more red than most Yomuts which tend towards darker brown. Perhaps it has been strongly influenced by Saryk or Ersari neighbours.